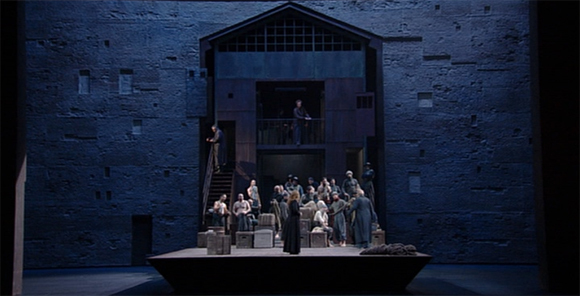 I’ve been looking really hard for a video recording of Tristan und Isolde that I felt I could recommend because, frankly, nothing is worse than a badly executed Tristan as those who suffered through the Met HD broadcast a few years ago will know. In the 2007 La Scala recording I have found one I feel confident about. Is it perfect? No. A perfect Tristan is probably beyond mere mortals. I’m never sure whether I find it more astonishing that anyone can sing this music or that a composer might have imagined that he could find people who could. That said, the La Scala recording is very close to an ideal Gesamtkunstwerk.